Scroll below to enter to win a copy of book one in the London Chronicles series, A Secret Courage! Growing up I never had a desire to be a missionary. In fact in church when missionaries to share I always prayed that I wouldn’t feel God’s tap on the shoulder. Honestly, I didn’t want to leave my comfort zone. Then God tricked me. Okay, not really, but my first venture into the world was when I joined two writer friends on a research trip through Europe. I was going for fun, but God had something else in mind. He wanted to show me the needs of others—mainly the need for Him. Our research trip was all exotic foods, souvenir buying and sightseeing until we drove out of the Czech Republic on the day before I was due to leave Europe. Upon exiting the country I witnessed something that rocked me to the core. There were young woman standing in the misty rain on the side of the road leading out of the country, they were wearing thin dresses and holding umbrellas. When I asked my European friend, Anne, about it she told me they were prostitutes. Prostitution was illegal in Austria, and so these young woman would stand on the roads near the borders, waiting for men to come across the borders and take them into the woods. At that moment my heart was crushed. I couldn’t wrap my mind around what these beautiful woman had to face on a daily basis. Those women—and the need for Christ’s truth in that country—stayed on my heart for years, and when my first three children entered the teen years I felt God nudging me to lead a mission trip there. My husband, John, and I led the trip of 19 people—mostly teens—to the Czech Republic in 2009, having never even been on a mission trip before. We worked with the most amazing Czech church, and one night during a conversation with the pastor’s wife we got on the topic of World War II. As Gabi continued to share that night, it was the first time I’d heard of Nicholas Winton and his efforts to rescue the Jewish children of the Czech Republic. 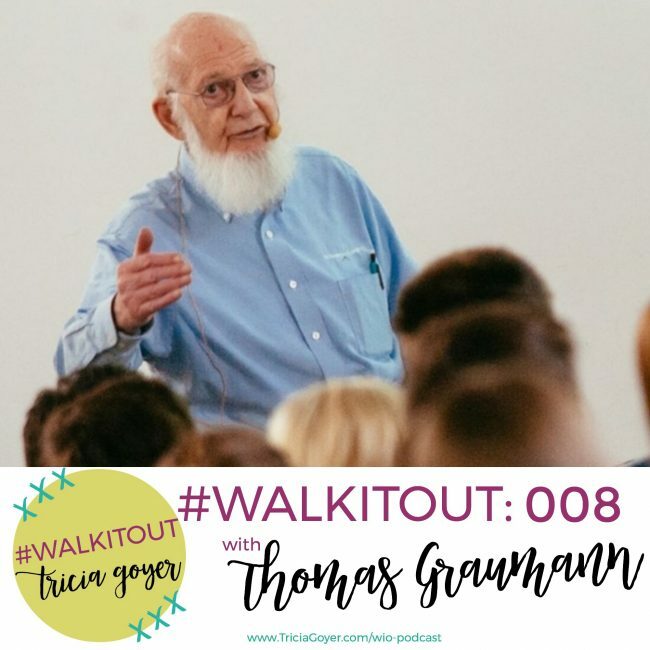 He was a mere man who heard of the need to help getting Jewish children out of the country, rolled up his sleeves and saved 669 of them, including Thomas. At the time Gabi told me about Thomas I was busy with book contracts, and then John and I added to that busyness by adopting seven kids. But the story of the trains carrying children out of the Czechoslovakia didn’t leave me, and “find Thomas Grauman” was on my to-do list for at least seven years. Then came the moment when everything changed. When thinking about what novel I just “had to write” next, the story of the children on the trains rose to the surface. I got a contract for two World War II novels, and the second one A Daring Escape, shares this story. Danger Closes In. Can the Children be Rescued? As the threat of World War II looms on the horizon, American Amity Mitchell is living a comfortable life abroad as a tutor in England. Life changes when an urgent telegram arrives from her brother, Andrew, summoning her to Prague. 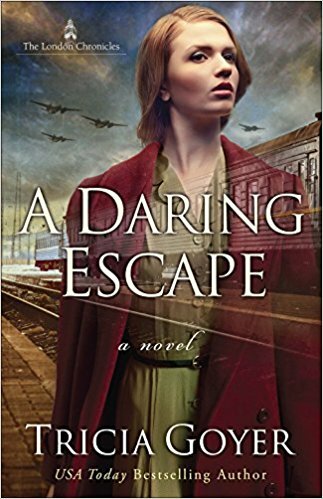 Nazi forces tighten their grip on the country, and Andrew’s efforts to help Jewish children escape Czechoslovakia grow desperate. Children’s lives are at risk. Amity knows she can’t ignore God’s call to join her brother’s cause. Amity’s boss, Clark, arrives in Prague, urging her to return. Soon, he too finds himself helping prepare kindertransports bound for the safety of England. With the sound of German tanks rumbling over cobblestone streets, Amity and Clark race to save innocent lives. Will their prayers for deliverance be answered? 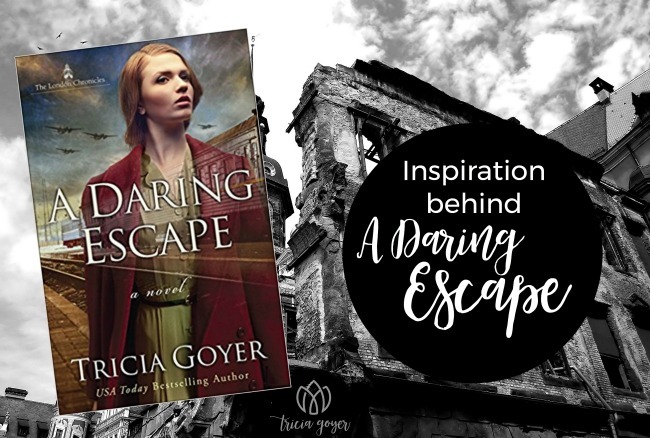 A Daring Escape is a gripping tale of hope, self-sacrifice, and the power of unrelenting love overcoming unspeakable hate.